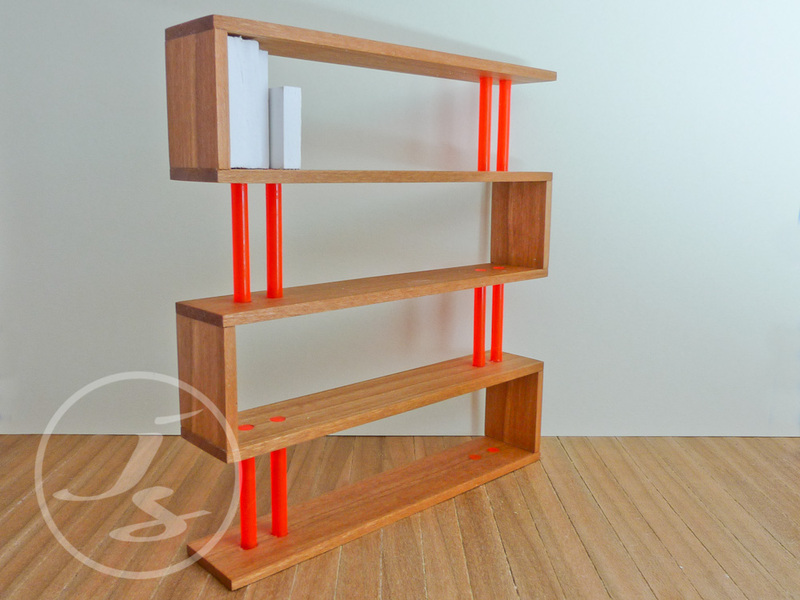 Brand new on my website today I have two new items of modern furniture to share with you. These are very unique, limited edition pieces that are already getting attention only a few minutes after listing. I will only be making 10 of each individual design and should you chose to purchase one, you will receive a signed miniature and a signed and numbered certificate. First of these new pieces is a truly unique coffee table. It just looks like a simple cube doesn't it? But wait... what happens when we take a closer look? We discover that this simple cube is actually made up of five individual slabs of which the middle three can be rotated through 360 degrees to produce a coffee table with infinite positions. 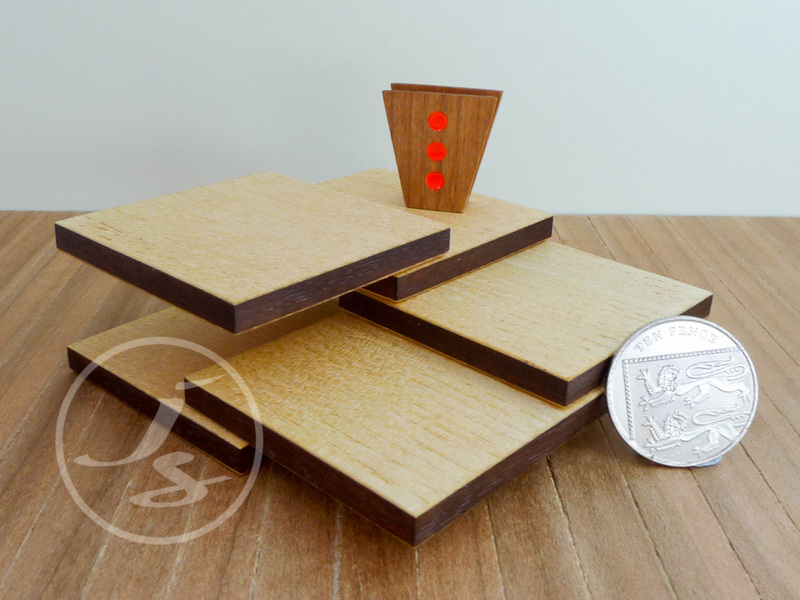 Ideal for those who like to change their furniture around and providing many surfaces on which to place your miniature items. Made from American walnut with an ash veneer this is a beautiful coffee table with a lovely finish of oil and wax designed to protect and bring out the beautiful grain and colour of the wood. 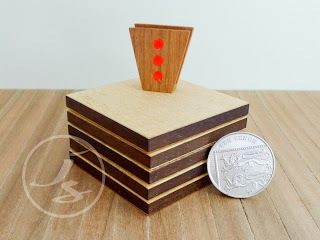 Table is 2" square x 1.5" high. The second new piece of handmade furniture is a zigzag bookcase with red acrylic rod detailing to provide a unique design what might otherwise be considered a standard bookcase. 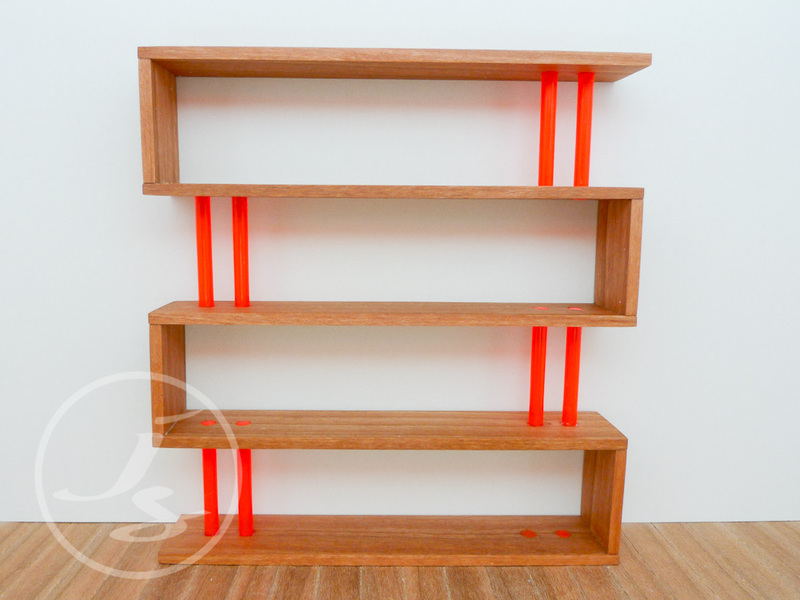 It is made from American cherry and red acrylic rod and is perfect for a modern or minimalist dolls house where it can be used as either a bookcase against a wall or as a room divider. It is finished in an oil and wax finish to protect the wood and bring out the lovely colour of the cherry. 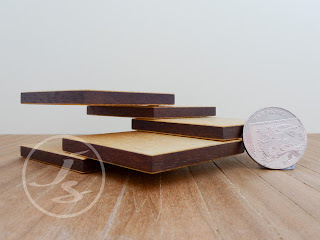 I have made up a few wooden 'books' in sizes available from Dateman books to show that the shelves are built to fit both large and small miniature books (30mm high). Bookcase is 5.25" tall by 5" wide by 1" deep. Awesome work on both items, love them!